What does it mean to be of strategic value to a client and to create a transformative “Aha” moment? This is precisely what we coach revenue-generating professionals to do through our training program, Top Line Talent. To truly understand how and why the “Aha” transforms relationships, we have to start by looking at recent brain science. We now know that when people arrive at a sudden, complete insight that solves a problem (what we refer to as having the golden moment of the “Aha” experience) there is a flash of gamma waves stemming from the brain’s right hemisphere. The right side of the brain processes expressive and creative tasks. 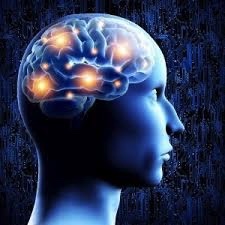 When the “Aha” experience occurs, a new neural pathway is being created. This constellation of neurons means that a new idea is about ready to pop into our conscious from our unconscious. This insight is usually associated with a problem that is being solved literally right at that moment. What happens when a problem is solved and you have been part of that solution? Stress is relieved and a pleasurable feeling results. We now realize something important about human beings and the sales dynamic. An “Aha” moment is a physiological phenomenon that is at the heart of all change and improvement. The “Aha” is at the center of becoming a value-add strategic partner because you helped the other person see something creative, unique, different, a new pathway forward. Now, you are associated with that pleasurable emotional feeling. And, it all begins with you providing a gamma wave upsurge. You can provide the magic “Aha” even when you ask strategic open-ended questions. If you ask a great question, often the other person is surprised by the lucidity of his or her own answer. Their own answer taught them something and that something is their own insight. This is at the heart of the Socratic method of teaching – it is what the top consultative salespeople routinely do. The asking of the question is strategic. The person says or suddenly realizes something that they didn’t know they knew. It was in their unconscious but because of your expert question, the answer revealed their knowledge to themselves. Think about when this has happened to you. Have you ever been in a meeting where you or someone else asked a question or made an insightful remark that created an “Aha” moment? What happened to the dynamics of the meeting as a result? Has someone ever created an “Aha” moment for you? What was that experience like and how did it feel to have discovered a clear pathway forward? And, how did you feel toward the person who caused the “Aha” moment to occur for you? Don’t underestimate the power of creating the “Aha” moment. When you create that gamma wave upsurge, it is a pleasurable event that is now associated with you. You are seen differently. The “Aha” is the first step in transforming relationships into strategic partnerships.